To download a PDF of this supplement, click here. The electronic logging device mandate, effective on Dec. 18, requires most carriers and drivers to convert from using paper logs or logging software to a registered ELD if they do not have an automatic on-board recording device in use. And those using AOBRDs prior to the mandate’s effective date will only be able to keep using them for two more years (until Dec. 16, 2019). It’s a mandate that has led to a lot of questions, with the government continuing to clarify and tweak the regulation even as we went to press. 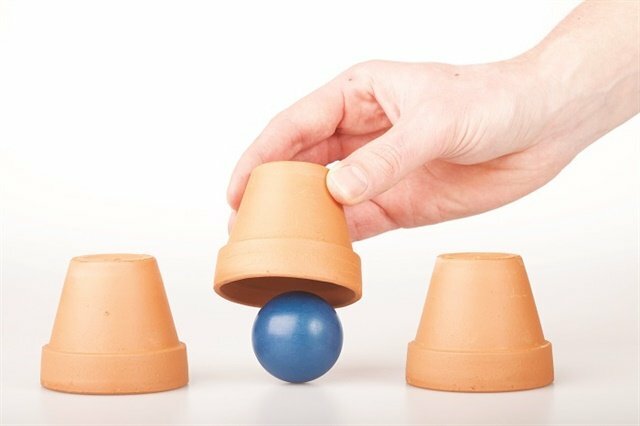 We’ve endeavored to find answers to the most common questions that arise, starting with the basics. 1. What is an Electronic Logging Device? An ELD is a recording device that records vehicle parameters through its synchronization to the vehicle’s engine. It also allows for entries related to a driver’s record of duty status (RODs) to show compliance with hours of service regulations. 2. How is an ELD different from e-logs currently in use? The e-logs — either in the form of logging software or AOBRDs — that some fleets have been using do not meet the new technical specifications prepared by the Federal Motor Carrier Safety Administration that ELD providers must adhere to. “From a carrier perspective, they may not see a whole lot of difference depending on the system they’re using,” explains Joe DeLorenzo, director of the FMCSA’s Office of Enforcement and Compliance. Some ELD providers may be able to convert their existing AOBRD systems to ELDs with very few visible differences. 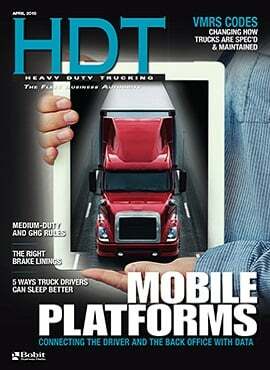 “One, it’s a consistent and more standardized specification [for ELDs],” DeLorenzo says. “Right now, all the devices that are AOBRDs are a little bit different. Under the ELD specification, they all may look different, but they all are producing the same output file as required by the specifications. “Second, there is more information being captured, but again all uniform, like engine hours, that are part of the ELD specifications. Another big difference is that ability to provide data transfer to inspectors at roadside and during compliance reviews. This process, DeLorenzo says, will be more accurate and faster than enforcement officials deciphering handwritten logbooks. 3. What are the key requirements of the ELD rule? Requiring ELD use by commercial drivers who are required to prepare hours-of-service (HOS) records of duty status (RODS). Setting ELD performance and design standards, and requiring ELDs to be certified and registered with FMCSA. Establishing what supporting documents drivers and carriers are required to keep. Prohibiting harassment of drivers based on ELD data or connected technology (such as fleet management systems). The rule also provides recourse for drivers who believe they have been harassed. 4. Can an ELD be on a smartphone or other wireless device? Yes. An ELD can be on a smartphone or other wireless device if the device meets the ELD rule’s technical specifications, which includes being able to access data from the truck’s engine. A portable ELD must be mounted in a fixed position during commercial motor vehicle operation and visible to the driver from a normal seated driving position. 5. When does the ELD rule go into effect? Motor carriers and drivers subject to the ELD rule must start using ELDs by the compliance date of Dec. 18, 2017, unless they are using a grandfathered AOBRD. A grandfathered AOBRD is a device that a motor carrier installed and required its drivers to use before the ELD rule’s Dec. 18 compliance date. The device must meet the requirements of 49 CFR 395.15. A motor carrier may continue to use grandfathered AOBRDs until no later than December 16, 2019. After that, the motor carrier and its drivers must use ELDs. 6. What information is automatically recorded by an ELD? An ELD automatically records the following data elements at certain intervals: date; time; location information; engine hours; vehicle miles; and identification information for the driver, authenticated user, vehicle, and motor carrier. ELDs are not required to collect data on vehicle speed, braking action, steering function, or other vehicle performance parameters. However, some ELDs may be part of a larger in-cab computer system that does collect this kind of data for the carrier’s use. 7. How does the ELD determine driving/non driving status? An ELD must automatically switch to driving mode once the commercial motor vehicle (CMV) is moving faster than a set speed threshold of 5 mph. The vehicle will be considered stopped once its speed falls to 0 mph and stays at 0 mph for three consecutive seconds. When the duty status is set to driving, and the CMV has not been in motion for five consecutive minutes, the ELD must prompt the driver to confirm a continued driving status or enter the proper duty status. If the driver does not respond to the ELD prompt within one minute, the ELD must automatically switch the duty status to on-duty not driving. 8. How is location data recorded? During on-duty driving periods, the location accuracy is approximately within a 1-mile radius. When a driver operates a CMV for personal use, the position reporting accuracy would be approximately within a 10-mile radius, to help protect driver privacy. The required location information is not precise enough to identify street addresses. For each change in duty status, the ELD must convert automatically captured vehicle position in latitude/longitude coordinates into geo-location information that indicates the approximate distance and direction to an identifiable location corresponding to the name of a nearby city, town, or village, with a state abbreviation. 9. Does the ELD rule require real-time tracking of CMVs? No. Real-time tracking of CMVs is not required in the ELD rule. However, a motor carrier may use technology to track its CMVs in real time for business purposes. A motor carrier is free to use this data as long as it does not engage in harassment or violate any Federal Motor Carrier Safety Regulations (FMCSRs). 10. How should an ELD record a driver’s hours of service when operating in another country such as Canada? FMCSA says the ELD provider may tailor the device to its customers’ needs/operations to assist them in accurately monitoring drivers’ hours of service compliance in accordance with the hours of service standards of the country operated in, such as cross-border operations. Canada presently does not have regulations requiring the use of ELD, but is in the process of developing the framework for such a regulation. Canada does allow the use of AOBRDs, and will accept AOBRD- or ELD-generated logs from drivers using such devices. Be aware that U.S. regulations do not require an ELD device to be compliant with another country’s regulations, so while a device may be compliant with the U.S. rule, it may not be compliant with any regulations Canada may eventual produce. Check with your ELD supplier to verify that the device in question will comply with Canada’s rules. Some of the most common questions about ELDs regards exemptions. The vast majority of carriers and drivers will have to comply with the ELD rule if they currently are required to maintain paper logbooks. Here explained are the specific exemptions that apply. 11. Who must comply with the ELD rule? The ELD rule applies to most motor carriers and drivers currently required to maintain records of duty status (RODS) per Part 395, 49 CFR 395.8(a). Drivers of property-carrying CMVs rented for eight days or less (this exemption was added in October). 12. Am I exempt under the 100 air-mile radius? The driver must operate within a 100-air-mile radius of his/her normal work reporting location. The driver must start and end the day at the same location. The driver must be released from work within 12 consecutive hours. The driver must have at least 10 consecutive hours off-duty between each 12-hour shift. The driver must not drive more than 11 hours. If the driver has a special assignment that breaks one or more of these rules, that’s OK; the driver just must fill out a paper logbook for that day – as long as it doesn’t happen more than eight times in a rolling 30-day period. If that happens, the driver is required to install and use an ELD from that point forward, according to Zonar. 13. What if I am only required to use paper logs occasionally? If you’re only required to prepare paper logs fewer than 8 days out of every 30, you’re not required to have an ELD. “So if you operate under exemption most of the time, say you’re a 100-air-mile radius driver that on occasion works longer than 12 hours or more than 100 air miles, as long as it doesn’t happen more than eight times in 30 days, you’re not required to have an ELD,” DeLorenzo said. What happens if they do need a logbook more than eight times? Then you have to get an ELD. The 30-day period is not restricted to a single month, but applies to any 30-day period, FMCSA says. For example, June 15 to July 15 is considered a 30-day period. 14. I don’t need to do anything for two years if I’m already running AOBRDs, right? 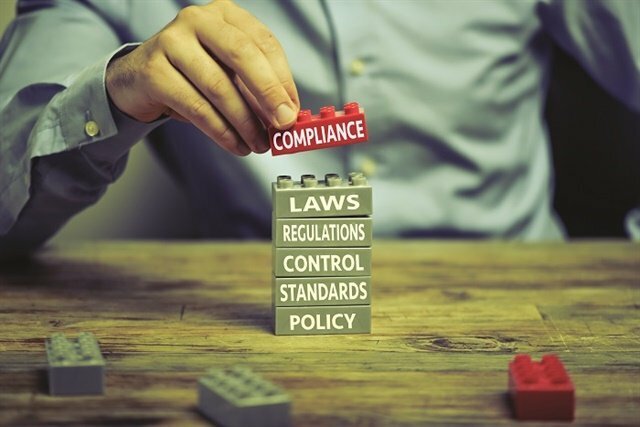 In other words, “those fleets should use this time wisely — as we’ve learned since the mandate was first published, two years is not really that much time,” write Fred Fakkema, VP of compliance at Zonar Systems, and Annette Sandberg, former FMCSA administrator and principal at TransSafe Consulting. 15. If I’m grandfathered, what happens if I buy new trucks during the grandfather period? Can I just buy extra AOBRDs now? No, you won’t be able to stockpile AOBRDs. Only AOBRDs that were installed and in use by Dec. 18, 2017, may be used until Dec. 16, 2019. “The only exception to this is that an AOBRD that was in use before Dec. 18, 2017, may be removed from a truck that’s being replaced and moved to the replacement truck,” says Keller’s Schedler. 16. What will I need to keep in mind going forward, if I have some trucks grandfathered with AOBRDs and some trucks with new ELDs? You will have to be mindful that the two types of electronic logs function differently and that you will have to switch over to an ELD-compliant device within just two years or if you expand your fleet. There are key differences between AOBRDs and ELDs that need to be kept in mind, says Keller’s Schedler. Another issue is that the system display may be different for the different devices. The data may be presented in such a way that the AOBRD data may appear incomplete and/or the ELD data cannot be fully displayed to make it match the AOBRD data. Drivers who were using AOBRDs but who get assigned ELDs will need to be trained on several key differences, including what will be required of the driver during a roadside inspection, how to make and/or approve edits, the speed threshold at which the ELD automatically moves into “driving” status (can be set at up to 5 mph), and how to use the special driving categories correctly. 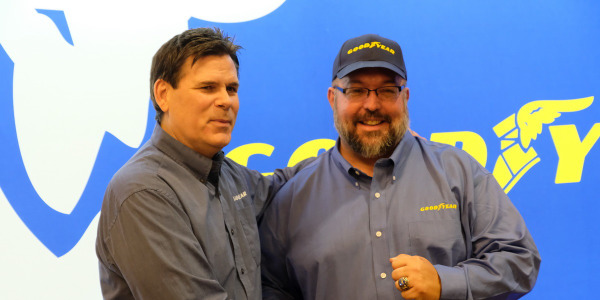 “If you’re going to ride both sides of the fence of AOBRD and ELD, depending on how the vendor implements the solution, it will be challenging, on the back end and for the driver,” says Eric Witty, VP of product for PeopleNet. Bear in mind that not only are some of the rules for ELDs vs AOBRDS slightly different, the mandate also creates different workflows involving editing. Witty suggests that fleets currently on AOBRDs may want to do a terminal-by-terminal or site-by-site ELD adoption once they reach a certain number of trucks with ELDs. The good news is that for many AOBRD devices, switching them to ELDs will simply require a software upgrade. In many cases that won’t even be an extra charge. 17. What if some drivers are subject to the ELD rule and some aren’t? In a mixed fleet, it is possible that some drivers may have a compliant but confusing blend of exempt time, time records, paper logs, and electronic records. To alleviate the headache, a carrier that has a mixed fleet may decide to exceed the requirements and use electronic records for all drivers in all vehicles, says Rick Malchow, a transport editor at J.J. Keller & Associates. 18. “Driveaway/towaway” operations are exempt. What exactly does that mean? By means of a saddle-mount or tow-bar. 19. How will ELDs handle HOS exemptions such as oil field logging? FMCSA emphasizes that the ELD rule did not change hours of service rules or existing exemptions. As Keller’s Bray explains, “As far as the required recording functions, AOBRDs and ELDs are not impacted by the use of exceptions, such as the 24-hour restart provision allowed to drivers hauling exclusively in support of oil and gas field operations. As long as the system is recording the hours, the system is compliant. As long as when the driver’s records are reviewed, the driver’s record shows that the driver is staying within the appropriate limits and using exceptions correctly, the driver is compliant. While not required, most systems have “rulesets” that do automatic auditing to make the system more useful, says Bray. Some systems make it easy for drivers to indicate that they’re operating under special HOS rules like the oilfield exemption. 20. Are my older trucks exempt? How is the age determined? What about glider kits? Yes, trucks with pre-2000 engines are exempt. This exemption was put into the rule because older engines with fewer electronics may make it more expensive or difficult to install an ELD. FMCSA recently clarified that exemption to reflect that it refers to the engine model year, not the model year in the VIN number. So, for instance, if you’re using a 2018 Freightliner glider kit with a 1998 Detroit Diesel engine, you don’t have to have an ELD. “The main issue with this is our training for roadside officers,” FMCSA’s DeLorenzo says. “We’re going to try to go by the model year that is on the engine tag.” While the carrier is required to maintain that documentation at their place of business, he recommends that drivers be able to explain the exemption when questioned by roadside enforcement officers. 21. What if I have a mix of older and newer trucks but want to run ELDs on all of them? If you want to voluntarily use ELDs in trucks with older engines, you may be able to. Check with your ELD provider to make sure it can provide the proper cables and adapters. 22. What if I only run intrastate? “If you operate in intrastate commerce, you will need to check with your local authorities. 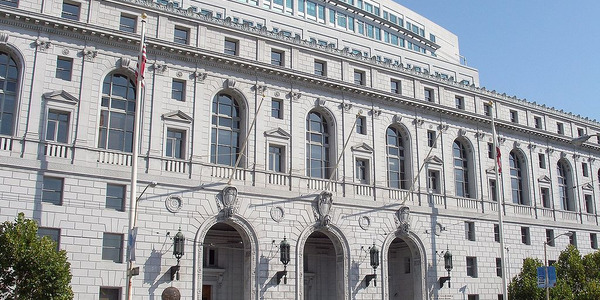 Some states adopt federal regulations, while others rewrite the rules with changes. Changes can include different definitions of what a CMV is or HOS limits,” says Zonar compliance expert Ryan Wiese. Ask your provider how its device works with your state rules. 23. How does the ELD mandate affect technicians? Unassigned mileage or unassigned vehicle moves is a key difference with ELDs. 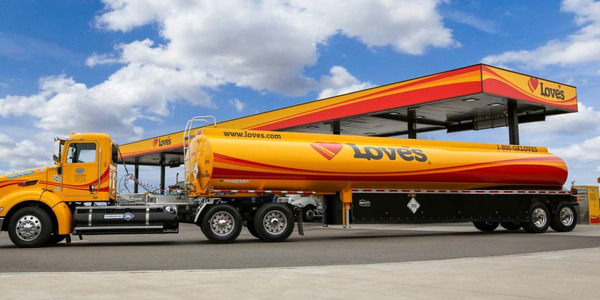 If a technician needs to take the truck out for a road test or someone needs to move the truck around the yard, say to take it to the fuel dock, that driving time will be recorded in the ELD and needs to be assigned to a driver. If it isn’t, the next time a regular driver logs in to the ELD, he or she will be asked if those are his or her hours. If those hours are rejected, the carrier has to reconcile them. Tom Cuthbertson, VP of regulatory compliance for Omnitracs, says carriers can define categories of exempt drivers, which allows those technicians or other people moving the truck around the yard to log in as an exempt driver. That way the driver and the back office won’t be burdened with reconciling those hours. And make sure you’re reviewing and reconciling those, he says; otherwise it could show up in a DOT audit. “Examine your operation and see where you’re moving vehicles now, and make two, three or four exempt categories,” he recommends. 24. If I’m driving a truck under 10,000 pounds, do I need to use ELDs? If you haven’t chosen an ELD this close to the deadline, it may be tempting to cut corners on your research. But one of the key things to keep in mind when choosing an ELD provider and device is that the FMCSA is not verifying that the devices are compliant. The agency warns that “prior to purchasing an ELD, carriers and drivers should confirm that the device is certified and registered with FMCSA” and listed at this website: https://3pdp.fmcsa.dot.gov/ELD/ELDList.aspx. “Devices not vendor-certified by manufacturers and registered with FMCSA may not be compliant with the FMCSRs,” the agency stressed. However, there is no guarantee that the ones on the self-certified list are actually compliant. One last-minute option is to go ahead and install AOBRD devices ahead of the Dec. 18 deadline that have the capability to be upgraded to ELDs later. 25. How do I know my ELD is compliant? The Federal Motor Carrier Safety Administration maintains a registry of devices that have been self-certified to meet the ELD specifications. The motor carrier is responsible for checking that their device is registered. This includes checking both the registration and revocation list periodically. The list of registered and revoked ELDs can be found at: https://3pdp.fmcsa.dot.gov/ELD/ELDList.aspx. In the event that an ELD is removed from the registration list, FMCSA will make efforts to notify the public and affected users. Motor carriers and drivers are encouraged to sign up for ELD Updates to receive notifications when an ELD has been listed on the Revocation List. Because this is essentially a “buyer beware” situation, motor carriers should also familiarize themselves with the ELD rule and use the FMCSA’s ELD checklist at www.fmcsa.dot.gov/hours-service/elds/choosing-electronic-logging-device-checklist. ELD vendors/manufacturers are not required to notify motor carriers if a device has been removed from the ELD registration list. 26. Do I need to buy a device that has third-party verification? Some ELD providers have opted to use third-party, independent consultants to verify that their ELDs are compliant, but it’s not required. 27. How can I make sure enforcement officials will be able to “read” the data transfer from an ELD? 28. Beyond compliance, what are the most important features for fleets to consider when evaluating ELDs? For instance, if your fleet operates with oilfield exemptions or under intrastate rules, ask your provider if the ELD has rulesets that make compliance easier in those situations. You may want to look at how an ELD will interface with other software you use. Some ELDs integrate with transportation management systems, some don’t, and some that don’t may well integrate with a TMS down the road. Also keep in mind that “technology fails,” write Fred Fakkema, VP of compliance at Zonar Systems, and Annette Sandberg, former FMCSA administrator and principal at TransSafe Consulting. “While no device is perfect, carriers should conduct research into the manufacturers that have self-certified to ensure that they are choosing the best solution for their fleet. 29. Are there printers that will just print out a paper version of the logs a driver can sign, for paper backups or loss of connectivity, etc.? Printers are available on the market, but they are not necessarily offered by ELD suppliers. One ELD, perhaps the only one, that does offer printing of driver logs is Continental’s VDO RoadLog, which prints out an instant paper log that looks just like a traditional logbook graph. 30. Should I buy an in-cab device or a system allowing the use of smartphones or tablets? Many ELD providers offer lower-cost systems that work via a “BYOD,” or “bring your own device,” smartphone or tablet provided by the user. The mobile device shares information wirelessly with a separate “black box” device that gets information directly from the engine’s electronic control module. Fleets choosing these systems say they like not having to make the extra investment in hardware. Cost of installation is another advantage cited. And some fleets want their drivers to be able to do other things with the device, such as using scanning, workflow, or proof of delivery apps. Keep in mind that per the regulation, the device must also be fixed, mounted, and within arm’s reach of the driver while the vehicle is in operation. So you’ll need some sort of mounting device even with a BYOD smartphone or tablet. Seidl cautions that there are some things to keep in mind before deciding on such a system. Cell phones and consumer-grade tablets, he says, are not as durable as most purpose-built ELD or in-cab computer systems. Some systems require a subscription to the ELD service on top of your regular data plan for the device. How often will you have to buy new batteries and chargers? What happens to your ELD compliance if the battery’s dead, or the driver leaves it on the table at a truckstop? Do you have measures in place to prevent the use of that device while the truck is moving? GPS Insight (which offers an in-cab device) says in exploring whether a BYOD option is actually cheaper, fleets should consider that with BYOD, you may pay monthly for ELD service per driver instead of per vehicle. If you have more drivers than vehicles, that could cost you more. 31. Should I buy a bare-bones ELD for compliance, or look for something that does more? At a minimum, ELDs need to automatically log driver HOS, and drivers need to be prepared to share those records upon request at a roadside inspection. But since it’s compulsory to install on-board computers in trucks anyway, why not let them do more? “Investing in a full-featured ELD will deliver improved compliance, improved safety and improved efficiency, and likely the gains in the latter two will help pay for the system and more,” says MiX Telematics. A MiX Telematics survey found that fleet management solutions help fleets reduce operating costs by $50-100 per vehicle, per month, after accounting for the cost of the system. That shows that while a bare-bones ELD is likely to cost money, a full-featured one can actually reduce a fleet’s overall costs, says the company. No one will be as directly impacted by the ELD rule as drivers will be. A related rule against driver harassment should also be kept in mind. That rule took effect in January of 2016. The “Prohibiting Coercion of Commercial Motor Vehicle Drivers” rule specifically forbids motor carriers, shippers, receivers, or transportation intermediaries from coercing CDL holders to violate certain provisions of the Federal Motor Carrier Safety Regulations. The covered regulations include drivers’ hours-of-service limits; CDL regulations; drug and alcohol testing rules; and haz-mat requirements. The rule also prohibits anyone who operates a CMV in interstate commerce from coercing a driver to violate the commercial regulations. 32. What do I need to know about the harassment provision of the ELD rule? “This is one of the most important and least understood elements of the ELD mandate,” says Pete Allen, executive VP of MiX Telematic. 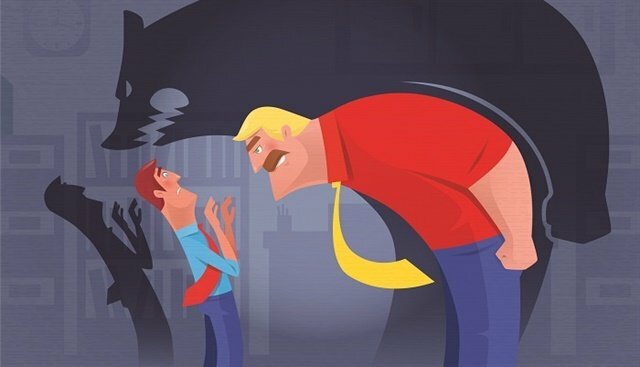 FMCSA defines harassment as an action by a motor carrier toward one of its drivers that the motor carrier knew, or should have known, would result in the driver violating hours of service (HOS) rules in 49 CFR 395 or 49 CFR 392.3. These rules prohibit carriers from requiring drivers to drive when their ability or alertness is impaired due to fatigue, illness, or other causes that compromise safety. To be considered harassment, the action must involve information available to the motor carrier through an ELD or other technology used in combination with an ELD. FMCSA explicitly prohibits a motor carrier from harassing a driver. The ELD rule has provisions to prevent the use of ELDs to harass drivers. FMCSA explicitly prohibits a motor carrier from harassing a driver, and provides that a driver may file a written complaint under 49 CFR 386.12(b) if the driver was subject to harassment. Technical provisions that address harassment include a mute function to ensure that a driver is not interrupted in the sleeper berth. Furthermore, the design of the ELD allows only limited edits of an ELD record by both the driver and the motor carrier’s agents, and in either case, the original ELD record cannot be changed. 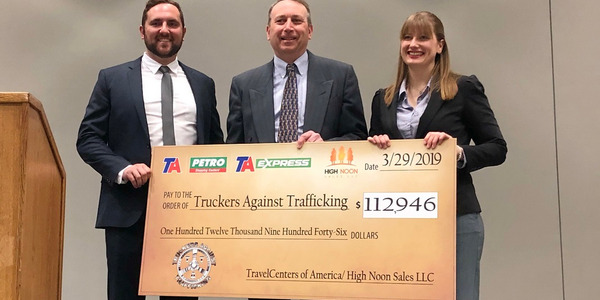 As a result, motor carriers will be limited in forcing drivers to violate the hours of service (HOS) rules without leaving an electronic trail that would point to the original and revised records. The driver certification is also intended, in part, to protect drivers from unilateral changes — a factor that drivers identified as contributing to harassment. “The technical requirements on driver harassment may seem minor, but are critical,” Allen explains. “These technical requirements include three main areas and require vendors to address each component of these requirements when a driver operates their ELD device: Unassigned driving time, edits to RODS/HOS, and driver prompts when logging in and out of their ELD device. 33. What are the differences between harassment and coercion? 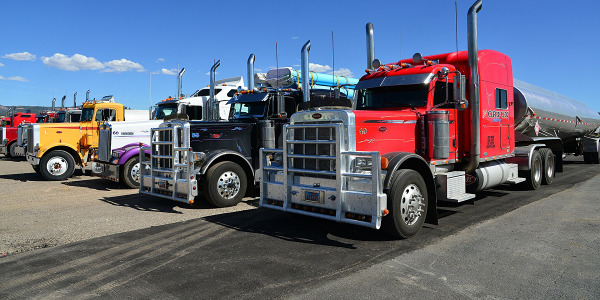 A motor carrier can only be found to have committed harassment if the driver commits a specified underlying hours of service (HOS) violation based on the carrier’s actions and there is a connection to the electronic logging device (ELD). Adverse action against the driver is not required, because the driver complied with the carrier’s instructions. In contrast, coercion is much broader in terms of entities covered, and addresses the threat to withhold work from or take adverse employment action against a driver in order to induce the driver to violate a broader range of regulatory provisions or to take adverse action to punish a driver for the driver’s refusal to operate a commercial motor vehicle in violation of the specified regulations. Unlike harassment, coercion does not have to result in the driver being in violation of the regulations and does not have to involve the use of an ELD. 34. What is the difference between an “edit” and an “annotation”? 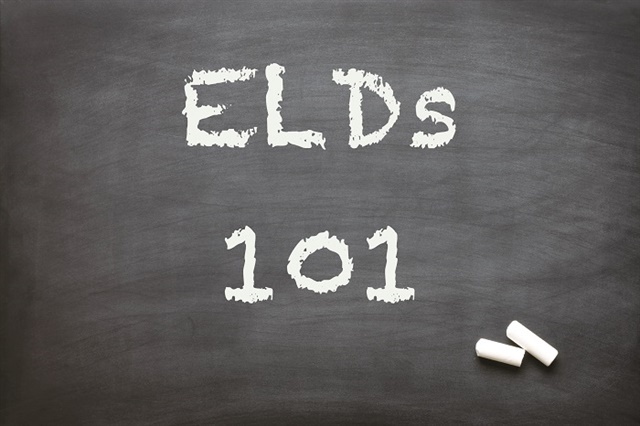 An "edit" is a change to an ELD record that does not overwrite the original record, while an "annotation" is a note related to a record, update, or edit that a driver or authorized support personnel may input to the ELD. Section 49 CFR 395.30(c)(2) requires that all edits, whether made by a driver or the motor carrier, be annotated to document the reason for the change. For example, an edit showing time being switched from “off duty” to “on-duty not driving” could be annotated by the carrier to note, “Driver logged training time incorrectly as off duty.” This edit and annotation would then be sent to the driver for approval. A driver can use annotations to indicate the beginning and end of a period of authorized personal commercial vehicle use, yard moves, as well as other special driving categories, such as "adverse driving conditions" (49 CFR 395.1(b)) or "oilfield operations" (49 CFR 395.1(d)). 35. Who can edit an ELD record? Both the driver and authorized carrier staff can make limited edits to an ELD record to correct mistakes or add missing information. All edits must include an annotation to explain the reason for the edit. In addition, the driver must certify that any carrier edit is accurate, and resubmit the records. If the driver chooses not to re-certify RODs, this is also reflected in the ELD record. The ELD must keep the original, unedited record, along with the edits. 36. Can a user edit or change driving time that has been recorded by an ELD to non-driving time? 37. How can drivers use annotation of their logs to help clear up potential confusion in certain situations? Any instance where an exception to the regulations is being used or when a driver goes over an hours-of-service limit, should be accompanied by an annotation (comment), says Keller’s Scheduler. Also of key concern when the ELD mandate takes effect will be how thoroughly drivers — as well as fleet operational and maintenance personnel — are trained on the ins and outs of working under the new rule. “The path to operating with ELDs should include retraining drivers and supervisors on the hours-of-service limits, tightening up hours-of-service compliance and auditing, developing and training on ELD policies and procedures, and training on the ELD system itself,” says Keller’s Schedler. 38. What electronic logging device (ELD) user accounts must be set up by a motor carrier? Support personnel who have been authorized by the motor carrier to create, remove, and manage user accounts; configure allowed ELD parameters; and access, review, and manage drivers’ ELD records on behalf of the motor carrier. A motor carrier must assign only one ELD driver account for each of its drivers required to use an ELD. The motor carrier is also responsible for establishing requirements for unique user identifications and passwords. Each driver account must be created by entering the driver’s license number and the state of jurisdiction that issued the driver’s license. The driver’s license information is only required to set up the driver’s user account and verify his or her identity; it is not used as part of the daily process for entering duty status information. 39. How much time does the daily logistics of running an ELD take? If your fleet is currently using paper logs, you will spend less time with ELDs, says MiX Telematics – probably 15-30 minutes a day less for drivers, and several hours a week less for fleet managers (varies based on fleet size). ELDs will eliminate manual data entry, reducing errors and improving compliance, and fleet managers will only need to review exceptions (typically flagged by the ELD system) rather than every log entry. 40. What kind of training will my drivers need? Drivers need to know more than just how to operate the device itself. In addition, during the transition to mandatory ELDs, there’s bound to be some confusion during roadside inspections. For instance, if drivers are operating under any kind of exemption, it’s important that they understand that and be able to explain to enforcement officers what that exemption is and why they qualify. 41. What are the most likely areas of confusion drivers will face who have only used paper logs? 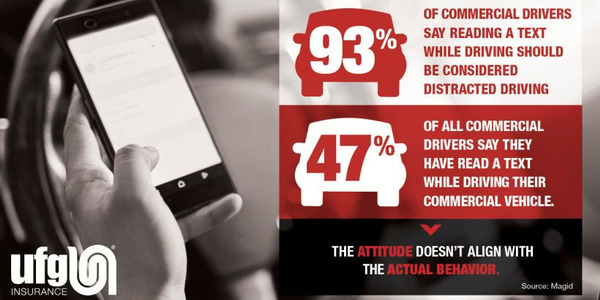 The use of a smart device or tablet may confuse some drivers, says ZED Connect's Henry, "however, a majority of drivers already use a smartphone or tablet day-to-day. When a driver uses an ELD for the first time, it will be normal for them to stumble around a bit, but most solutions are designed to be easy to use and straightforward." Second, drivers need to do duty changes when they occur and understand that the automatic changes cannot be changed. There is no going back and changing the log when a driver stopped driving, but drivers do control when non-driving duty changes take place. The practice of “doing the log at the end of the day” will end, so drivers need to be aware of where they are compared to the limits. Operating past a limit and “fixing” the log at the end of the day is not possible with electronic logs. 42. What are the most likely areas of confusion drivers will face who have been using AOBRDs? Bray says the roadside inspection process and the editing process will likely be the biggest sticking points for drivers switching from AOBRDs to ELDs. When using an AOBRD, the driver simply shows the officer the display and tells the officer he/she will have the company forward the records to the officer within 48 hours (if the driver cannot send them directly to the officer). If the driver is using an ELD, the driver must be able to send the records directly to the officer upon request, using either telematics or a local transfer method. 43. What documents are drivers required to carry with them in the cab? 44. How do you handle personal conveyance with ELDs? The rules about personal conveyance — drivers’ off-duty use of the truck as a personal vehicle — haven’t changed, but with ELDs, those miles will be recorded automatically, so the rules created an optional driving category for "authorized personal use," which is to be electronically recorded as off-duty time on line 1. For instance, if a carrier allows a driver to drive the truck home from the terminal for the weekend once he’s off duty, the driver can choose “personal conveyance” instead of the regular driving category. “If a driver is using the vehicle in such a way that it’s going to further the operational position of the carrier, then it’s not personal conveyance,” DeLorenzo says. “The most important recommendation is that whatever [carriers] decide to do about personal conveyance, that they document that and have some kind of policy they train the drivers on, so it is very clear whether they are or are not operating under personal conveyance." 45. What about unassigned driving? Will that be different from under AOBRDs? A motor carrier must either explain why the time is unassigned or assign the time to the appropriate driver. The motor carrier must retain unidentified driving records for at least six months as a part of its HOS ELD records and make them available to authorized safety officials. 46. How are yard moves handled under ELDs and how is that different from AOBRDs or paper logs? The ELD mandate rules created a special driving category called “yard moves,” but its use is not required, says Jamie Mielke, product manager, Safety & Compliance, PeopleNet. If used, the “yard moves” are electronically recorded as "on-duty, not driving time" on line 4. So trucking companies have the opportunity to define a “yard” for their own operations, and they should also consider providing instructions and training to their drivers on whether, where and when they may select and use the yard moves driving category, he says. A "yard" could be limited by a trucking company to its own terminals or company facilities, Mielke says. Or, a "yard" could be expanded beyond that to include a customer’s yard, a receiver’s facility, a maritime terminal, a rail ramp, a drop yard; or any other similar location or facility. 47. What do I do when I need to put a driver in a short-term rental truck? The exemption resulted from a petition filed with the agency by the Truck Renting and Leasing Association, which had wanted an exemption for up to 30 days. Drivers of rental vehicles operating for longer than eight days. They will still have to comply with the new ELD rule. FMCSA’s ELD website says the motor carrier and the driver are responsible for ensuring that all of the RODS information required by the HOS rules is available for review by authorized safety officials at the roadside. If the driver uses multiple ELDs that are not compatible (e.g., the data file from one system cannot be uploaded into the other system), the driver must either manually enter the missing duty status information or provide a printout from the other system(s) so that an accurate accounting of the duty status for the current and previous seven days is available for the authorized safety official. 48. What do drivers do who work for more than one company? One of the shortcomings of the ELD rule is that it will cause problems for drivers who are working for a driver service or a temporary driver pool. These drivers will be unable to transfer their hours of service information from one carrier to another. Even though this probably applies to a relatively small group of drivers, it will cause them considerable inconvenience. This is known as inter-operability, and in drafting its rule, FMCSA chose not to address it. 49. How are team drivers handled under ELDs? In the event of team drivers, the ELD must display the data for both co-drivers who are logged into the system. The driver who is not operating the vehicle may make entries over his or her own records when the vehicle is in motion. However, co-drivers cannot switch driving roles on the ELD when the vehicle is in motion. If one driver forgot to log out, the driver account associated with the driving time records may be edited and reassigned between the team drivers, if there was a mistake resulting in a mismatch between the actual driver and the driver recorded by the ELD, and if both team drivers were indicated in one another’s records as a co-driver. Each co-driver must confirm the change for the corrective action to take effect. 50. How will slip seating work under ELDs? Slip-seating drivers will sign in to the ELD under their unique user identification and then sign out each time they start and finish their driving shift, says Keller’s Scheduler. 51. What about my independent contractors? Talk to an expert in independent contractor law to figure out if you can require a certain device without running afoul of "employee misclassification" issues. Who pays for the device and the associated fees will have to be decided by the parties involved. Owner-operators working under their own authority will have to acquire their own FMCSA-compliant ELD. Since the owner-operator in this case is also the carrier, the owner-operator will have two accounts; one as a fleet manager (the back end) and one as a driver (the in-cab device). The rule requires those accounts to be separate. Drivers and fleets aren’t the only ones who are likely to experience some confusion during the transition to ELDs. That’s why the Commercial Vehicle Safety Alliance and FMCSA recently announced a phased-in approach in the first six months, where drivers will not be put out of service if they don’t have an ELD. However, they could still be cited and fined for not possessing an ELD or an AOBRD; each jurisdiction will decide on its own how strict that initial enforcement will be. It’s also why the more prepared your drivers are for those roadside inspections, the better. 52. What are the penalties for noncompliance? 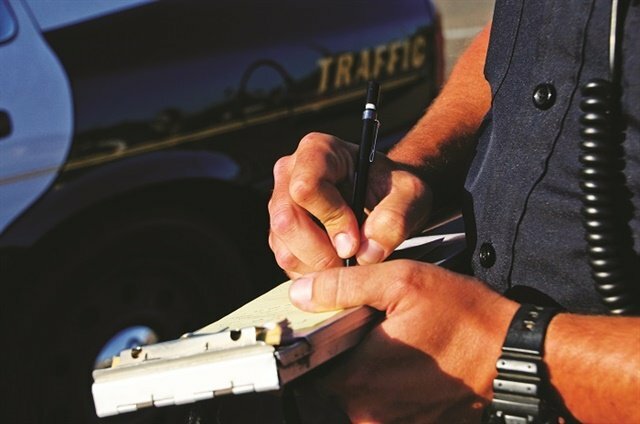 According to Kerri Wirachowsky, director of roadside inspection programs at the Commercial Vehicle Safety Alliance, the fine or fines will likely be the same as a driver could expect if being cited for not possessing a paper log today (pre-ELD rule), including monetary penalties and points under CSA’s Fatigue BASIC. Under today’s rules, such a violation could involve being put out of service for a period of time. Fines and citations for violations of the HOS rules will likely be the same as they are today, and drivers with ELDs or AOBRDs will be fined and cited for violations of the HOS rules revealed by such devices. For fleets and drivers using AOBRDs, the compliance regime will not change on Dec. 18, 2017. Those devices have been in service for several years and all the requirements and obligations of 49 CFR 395.15 will continue to apply. 53. Do ELDs automatically report hours-of-service violations to law enforcement and government agencies? This is a common misconception, says Joel Beal of LoadTrek. “Law enforcement will be able to quickly view a driver's logs on an ELD to determine if there is an HOS violation, however nothing is transmitted to police unless there is a reason to do so. Reasons include roadside inspections, traffic infractions, or an FMCSA audit. 54. What can drivers expect during roadside inspections? The first step in the enforcement process will be to determine if the driver has either an AOBRD or an ELD. If the driver has neither, he or she will be cited for non-compliance the ELD requirement, but will not be placed out of service. If the driver has an AOBRD, the inspection process will be no different than it has been since those devices were first put into service. If the driver has an ELD, he or she will be expected to produce an ELD information packet to assist the inspecting official in determining the functionality of the device (see below). Additionally, the driver will be expected to produce the current day’s record of duty status as well as the previous seven days electronic logs, and to transfer that data to the inspector if requested. The driver must be familiar with the operation of the device and be able to perform those operations at the inspector’s request. The driver must also be able to make the device display the current day’s log as well as the previous seven days in case a data transfer cannot be completed. 55. What are the options for ELDs to electronically transfer data? The first option is a “telematics” transfer type ELD. At a minimum, it must electronically transfer data to an authorized safety official on demand via wireless Web services and email. The second option is a “local” transfer type ELD. At a minimum, it must electronically transfer data to an authorized safety official on demand via USB2.0 and Bluetooth. If the driver is using a “telematics” ELD with email capabilities, the authorized safety official will request that the electronic data transfer file be sent as an attachment to an email. This e-mail address is preprogramed in the ELD by the vendor. The safety official will provide the driver with a routing code to reference in the email. If the driver is using a “local” ELD with Bluetooth capabilities, the authorized safety official will activate Bluetooth on his or her computing device and the driver will initiate the Bluetooth electronic transfer of the data from the driver’s ELD to the safety official’s computing device. The official will provide a Bluetooth pairing code for the driver to enter into the ELD for the data file transfer. If the driver is using a “telematics” ELD with wireless Web services capabilities, the authorized safety official will give the driver a routing code to assist the official in locating the data once transmitted, and the driver will initiate a web transfer to an FMCSA server to be retrieved by the safety official’s software. If the electronic means for transferring data is unavailable or fails, the driver can still be compliant by showing either a printout or the actual ELD display of their RODS. 56. What ELD user documentation must be onboard a driver’s commercial motor vehicle? The user’s manual, instruction sheet, and malfunction instruction sheet can be in electronic form. Prior to Dec. 18, 2017, FMCSA recommends that drivers have the user’s manual, malfunction instruction sheet, and graph-grids. John Seidl, a former enforcement officer, predicts that while enforcement officials are getting up to speed on ELDs, the biggest hours of service violation at roadside inspections will be failing to have a device instruction card and blank paper log books in the cab as required by the regulation. 57. How will enforcement officials know if a driver is grandfathered under the AOBRD rule? Because there are not always obvious differences between AOBRDs and ELDs, enforcement officials won’t necessarily know when they do a roadside inspection which type of device a driver is using, or if they put in that “grandfathered” AOBRD last year or a week after the deadline. However, that information can be determined in a compliance review, says FMCSA. In the meantime, enforcement officials will likely ask drivers if it’s not obvious. Drivers need to know what type of device they are using. Is it an AOBRD or an ELD? In addition, if it’s an ELD, there’s additional documentation drivers must have. 58. What will be the enforcement procedures for “grandfathered” AOBRDs and ELDs during the two-year period following the compliance date of the ELD rule? During the period when both “grandfathered” AOBRDs and ELDs will be used (Dec. 18, 2017 to Dec. 16, 2019), authorized safety officials will enforce ELD rule requirements for ELDs and the requirements in 49 CFR 395.15 for “grandfathered” AOBRDs. The supporting document requirements for drivers and motor carriers using either device will take effect on the ELD rule compliance date of Dec. 18, 2017. 59. What do drivers do if their ELD stops working? Continue to manually prepare RODS in accordance with 49 CFR 395.8 until the ELD is serviced and back in compliance. The recording of the driver’s hours of service on a paper log cannot continue for more than 8 days after the malfunction; a driver that continues to record his or her hours of service on a paper log beyond 8 days risk being placed out of service. 60. What must a motor carrier do if there is an ELD malfunction? Require the driver to maintain paper record of duty status (RODS) until the ELD is back in service. RODS stands for record of duty status — essentially a driver logs. ERODS is the application enforcement officials will use to interpret the driver RODS data from the ELD. We have heard there are delays with the ERODS system. What will that mean for drivers on the roadside? What does that mean for anyone still trying to decide on an ELD? Only in the past few months have ELD providers had a test available to make sure their data files will be read properly, and it appears that the agency is cutting it close on getting the systems to the end users. “Right now we’re working on the final issues of development and we’re working with the states on developing the training plan we expect that will all be ready and rolled out in November,” said Joe DeLorenzo, director of the Federal Motor Carrier Safety Administration’s Office of Enforcement and Compliance, during a September interview. While FMCSA believes it will have the ERODS program in place before the deadline, DeLorenzo said even if it’s not, officers can still enforce the rules. “The question is can we enforce whether a driver is compliant with HOS if they have an ELD and the answer is yes, because when we wrote this rule we recognized that while the use of data transfer is beneficial to everybody, there were going to be times even under the best of circumstances that they might not work.” So the ELD specification contains a backup – either the logs can be printed out, or the officer can look at the ELD display. “It’s important to remember that the ELD rule is about hours of service compliance,” he said. And the HOS rules are not changing. The electronic data transfer from the ELDs, he said, will simply make the enforcement process more accurate, efficient, and faster. 62. How will an enforcement officer know if an ELD is compliant or not? 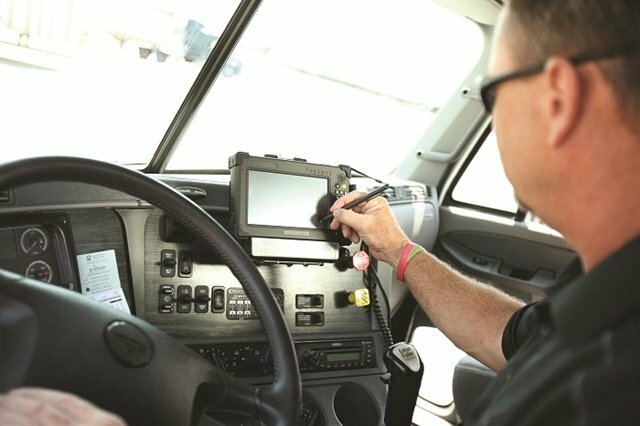 Officers at roadside will be able to refer to FMCSA’s list of registered ELDs. If the device is an AOBRD, the driver must be able to communicate this to an officer, as the device will not be on the registry. If the driver tells an officer that the device is a compliant AOBRD, the officer can contact the company and request the carrier forward the AOBRD manufacturer’s certification letter to him/her. If the device in question is not on that list and it can be determined that the device is not an AOBRD, the driver will be deemed to not have an ELD by the deadline and will be cited accordingly. If the device the driver is using has been determined to be non compliant and removed from the list, he or she will have to reconstruct the previous seven days of logs on paper. The fleet will have eight days to replace the non-compliant devices. 63. If I choose a device that turns out to not be compliant, despite the vendor’s self-certification, what do I do? FMCSA's DeLorenzo told a session during the American Trucking Associations recent annual meeting that as long as the agency was able to get hours of service information, the agency would first work with the vendor to get the device into compliance, and if that didn’t work, would take things on a case-by-case basis with fleets. 64. What kind of training will non-drivers at my company need? Keller’s Bray notes that if the company has not operated electronic logs, driver-supervisors are going to need to be trained on how to locate the driver’s available hours in the system before giving the driver an assignment, because drivers will no longer be able to “hide” over-dispatching. Also, the supervisors and managers will need to be trained on the procedure to follow if a driver says he/she cannot accept or complete an assignment. Here again, drivers will no longer be able to “hide” over-dispatching any more. Safety personnel are going to need to be trained on how to audit electronic logs. They will need to be trained on how to investigate and assign unassigned driving time (or comment on it if it legitimately cannot be assigned to a specific driver), how to verify that edits were attempts to falsify logs, how to locate and verify over-hours violations the system is reporting, and how to locate drivers who are using other drivers’ log-ins. “Will your new policies and procedures pass FMCSA’s scrutiny as adequate safety management controls — not the least of which is detecting and correcting any cheating of the system?” Schedler says. 65. How long must a motor carrier retain ELD RODS and supporting document data? Motor carriers must retain RODS and supporting documents for six months. A motor carrier must keep both the ELD RODS data, and a back-up copy of that data on a separate device. The carrier must ensure that these records are stored securely to protect driver privacy. 66. How many supporting documents must be retained by motor carriers, and when must drivers submit them to the motor carrier? Motor carriers must retain up to eight supporting documents for every 24-hour period that a driver is on duty. Drivers must submit their records of duty status (RODS) and supporting documents to the motor carrier no later than 13 days after receiving them. 66. What are the categories of supporting documents? Drivers using paper RODS must also keep toll receipts, which do not count toward the eight-document cap. Upon request, a driver must provide any supporting document for an authorized safety official’s review. Two categories — electronic mobile communications and payroll records — are not documents a driver would have to physically retain. They may be part of a larger record that the carrier retains electronically or physically at the dispatch location or principal place of business. In applying the eight-document limit, all information in an electronic mobile communication record will be counted as one document per duty day. 68. How can I leverage the data from ELDs to improve my business? Beyond simply meeting government regulations, ELDs can be a vital part of a larger fleet management system that uses data to help drive improvements not only in safety, but in areas such as fuel efficiency, productivity and maintenance costs. 69. How will the data from ELDs be used by government officials? FMCSA will not retain any ELD data transferred from a device unless there is a violation. 70. Where can I get more information? FMCSA has answers to more frequently asked questions here: www.fmcsa.dot.gov/hours-service/elds/faqs.